From the composer of Jake West’s cult debut Razor Blade Smile, the martial arts smash hit Ong-bak and the hit BBC3 TV series Being Human, comes an intense contemporary orchestral action score. 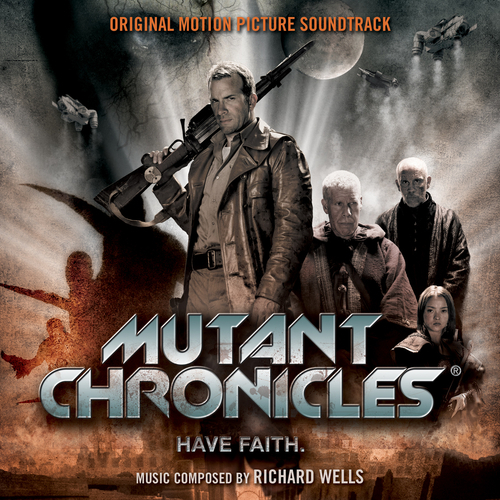 The Mutant Chronicles tells the story of the last mission of the only surviving humans on earth, a hopeless task which ends in bloody failure against an army of Mutants. The visual backdrop of muddy trenches and huge WW1 style weaponry is aided by the Richard Wells’ music. Reflecting the ever increasing futility of the mission, the score starts with a haunting melody in the trenches before the mission begins and then becomes ever more discordant as the survivors die one by one until the final violent act, accompanied by a dreadful dissonant cacophony. Richard Wells and Studio Orchestra conducted by Benjamin Wallfisch - How Much Do You Weigh?